I spent two weeks in Morocco collecting Argan. What? The Argan tree grows in the south-east regions of Morroco. The fruit is about nut-sized. 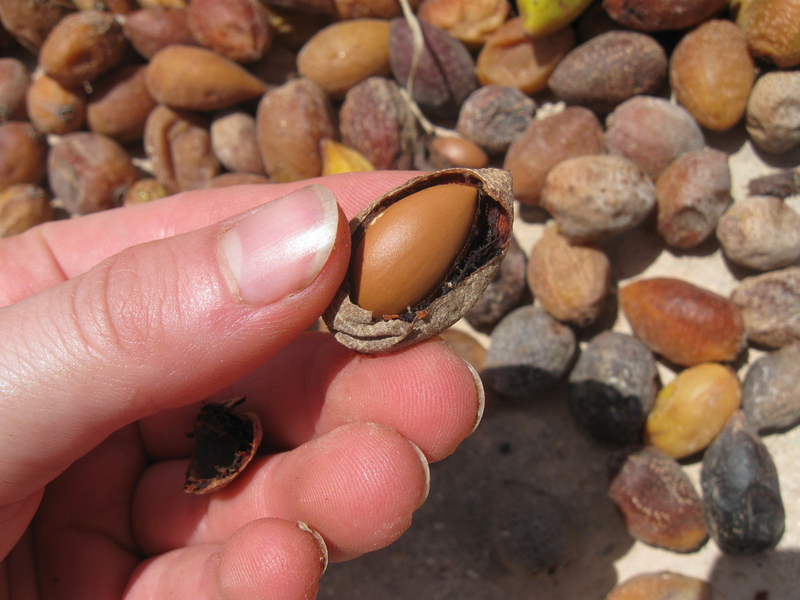 It is formed by a pulp that covers the hard pit – the Argan nut which contains around 55% oil. The tree has been used since the 13th century. The wood gives excellent coal. The leaves are eaten by small goats and other animals like the pulps. The argain oil is used in traditional medicine, cosmetics and in alimentation. So my work was to collect argan pulps that had fallen from the trees and put them in a sunny place to dry. When the pulp has dried it can be removed easily and then the almond-like nuts are pressed out (pic X) and kneaded (pic X). If the oil is for alimentation, the nuts are first roasted to get favour. 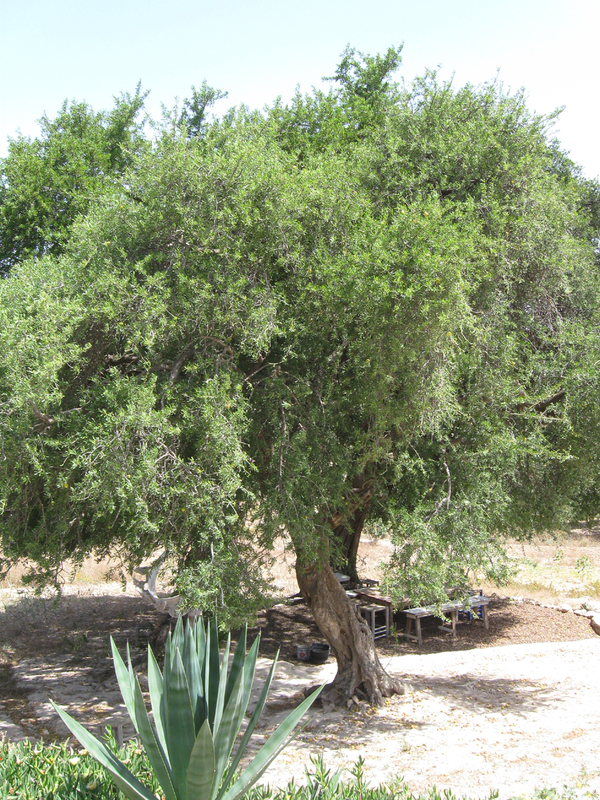 This entry was posted on 09/08/2011 by G in Miscellaneous, Places and tagged Argan, Essaouira, Morocco, oil, plant.